The NHS anniversary exhibition in June was a great success. Alongside the artefacts loaned to the Royal Hampshire County Hospital, the staff showed a number of devices to assist people with disabilities to make better use of computing equipment. There were many other exhibits on display, including a room full of rather gruesome medical instruments used in days gone by. Hursley celebrated 60 years of IBM presence on the site during 2018. A week of events in September began with a heritage open day on Sunday 16th. Other events over the week included a “Festival of Innovation”, a schools community project and an IBM open day. IBM has also purchased two new glass display cabinets, located in the central hall of the House, with a small selection of artefacts and photographs as a taster for the museum itself. We curators worked with Hursley staff to provide whatever other support was needed. We produced some explanatory sheets for each of the rooms, so visitors could read up on the exhibits when no guide was present. There is also a plan to produce some tri-folds based upon themes rather than actual exhibits. The first one is the story of the punch card. Work continues on bringing hardware back to life, largely in the PS/2 area. Some of our exhibits are showing problems too, although the older PCs (PC, XT, AT) are proving more reliable. Time permitting we are hoping to get some typewriters working so visitors can try their hand. We have received three RS/6000 machines from a donor in the Netherlands. He also has a 129 buffered card punch/verifier awaiting space on a future shipment to the U.K.
We have also been given a bottle of “Big Blue” wine. Apparently this was produced by a local vineyard in New York State in 1988 for a group of ex-IBMers, but only for a short time. IBM took umbrage at the use of both the words and the font style, so the vineyard withdrew the brand. We probably won’t open it! The EDSAC team continues to be focussed on commissioning. Having convinced ourselves that the pioneers adopted a bistable design for flip-flops earlier than that which we originally thought, we have been replacing monostables with bistables in key areas to achieve more reliable operation and this is beginning to show results. The bistables require a -50V DC supply which has led to some revision of the power supply arrangements. In recent weeks the machine has run short sequences of X (no-op) orders, demonstrating orders being fetched from store, decoded, dispatched to the arithmetic unit, executed and a concluding “End Pulse” returned to step on to the next order. Our immediate objective is to reach a state where the machine can reliably execute long sequences over a period of several minutes. Progress has been helped by the development of a custom laptop-based logic analyser to monitor waveforms as logic levels and signals. This is just been extended to 16 channels so that we can track main control, store and coincidence systems simultaneously. There has also been further work on testing long nickel delay lines as main store. This has shown up some sensitivities that are under investigation. Our minds are increasingly focussed on the opportunity arising from 6th May 2019 being the 70th anniversary of the original EDSAC running its first programme. The large scale review of the code for the 1904S and 1905 emulators has now been completed and apart from a couple of minor snags to sort and the completion of the user guide we are almost ready for a release. We are hoping to announce the release at the CCS meeting on 20th September, which means that by the time you read this the emulators will be available on public release. See icl1900.co.uk for further details. One of the tapes recovered from Bracknell was GEORGE 2+/DOF v2B, which appears to be the final release of this product, dated 1982. We have attempted to run it, unsuccessfully, so have created a new source for this version by updating a copy of the /2A source by means of binary compares, in order to investigate the problem. Readers may have noticed that I did not produce a report for Resurrection 82, because this was well covered by Roger Johnson’s excellent report on page 13. After the move the machine was soon working and we were again giving presentations in a matter of days. There was an official opening at TNMoC towards the end of June where we were very lucky to have with us two of the original WWII Bombe operators. Our new area is quite different around the walls, but the main machine demonstration area is much as before. Due to very limited wall space, fixed display boards are unrealistic so we have changed to multiple, large video display screens were we can readily change what is on view. We have built up a number of display ‘shorts’ lasting a few minutes each and are continuing to produce more, to add even more variety. One of these is a film of a recent demonstration and can be shown should we not be in a position at any time to provide ‘manned’ demonstrations. We can connect all this, together with video cameras and sound, to Skype but more of this in the next issue. All this was going well but then we started to have clutch problems where at the end of a run the clutch would no longer reliably bring the machine to a halt but would miss a catch and bounce around the following possibilities making a nasty noise. This was believed to be and why certain relay points arced seriously resulting major contact damage. We could not give regular demonstrations for a while and our long standing ‘uptime’ record is no longer intact. After many days of investigation and relay repair it was found that the clutch is badly worn and new parts will have to be made and replaced. I suppose this is perhaps to be expected after more than 10 years of running on most days of the week. However we did find a way of providing adequate demonstrations by slowing the main DC motor, and hence the whole machine down. This was an interesting episode involving studying DC motor electrical theory. Now to very sad news: John Borthwick died on 14th August. John was Secretary and a TWBRT Trustee. He had been working with us on the Rebuild for over 20 years. A memorial service is currently being planned and we are providing input to a eulogy but this is not ready for this report but we intend to add something substantial to the next Resurrection. This summer has seen an unprecedented level of unreliability — and in case you were wondering the problems started before the really hot weather. The issues have mainly been related to the two trigger tubes in the accumulator, which are both of the high speed type with which we have had numerous issues in the past, but also thrown into the mix were a valve failure and several relay issues. Unfortunately all these issues overlapped and occurred within the space of a few weeks, making them exceedingly difficult to diagnose. The valve failure was notable since they occur so rarely — in this case both halves of a double triode in the translator unit were conducting when only one should have been, leading to certain characters on the program tape becoming invalid during a read into store operation. The trigger tube failures were harder to pin down as the symptom is generally erratic behaviour. As they age the tube characteristics change. Eventually it gets to the point where the trigger threshold can no longer be adjusted so that it works reliably over the working temperature range. When fitting ‘new’ trigger tubes, the characteristics change very rapidly over the course of a few days before hopefully stabilising, but sometimes they stop working altogether. This happened to several replacements we fitted over the summer, and so I decided it was time to take more radical action. I have long thought these trigger tubes would be the first type of component to require replacement with an alternative to keep the machine running in the long term. The alternatives under consideration are: a solid state equivalent circuit, and the non high-speed GTE175M trigger tube used elsewhere — the high-speed properties of the original are not thought to be required in this application. Over the course of a couple of weekends, solid state circuits were designed and prototyped on bread board. It isn‘t feasible to construct a circuit that is pin-compatible with the trigger tube — the approach taken was to take the trigger signal before tube-specific bias and conditioning and to generate an equivalent output signal. 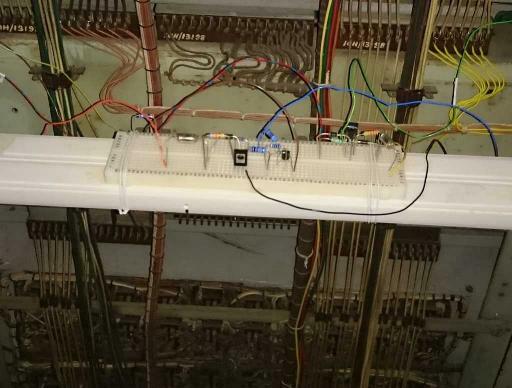 The photo shows the circuits installed on a temporary shelf attached to the rear of the rack behind the accumulator. In one case the active elements of the circuit consist of an SCR followed by a high voltage PNP transistor, and in the other case just an SCR sufficed. No modifications were needed to the machine other than soldering a few wires on and removing the trigger tubes from their sockets. The circuits have now been in place for over a month and following a small adjustment to SCR gate current no problems have occurred in the last three weeks. The next step is to prototype a circuit using the GTE175M trigger tubes, which by contrast have so far been perfectly reliable and stable. After testing this we will make a decision which way to go long term. The choice is not straightforward: the solid state circuit can be installed with very minimal modification to the machine, but with the loss of two of the blinking lights that are so much part of its personality. The replacement trigger tube circuit would retain the visual appeal, but requires much more intrusive modification to allow installation in the existing valve bases. Owing to circumstances beyond my control, the domains ending in settle.dtdns.net which all lead to my in-house server ceased to exist at the end of July 2018. The company DTDNS ceased operation. I have put in place a route to my in-house (literally) server going via sw.ccs.bcs.org I have updated pages on sw.ccs.bcs.org to reflect this change, and provided information on how to convert a dtdns.net URL into one that works now. Perhaps some of the material on this server should move to sw.ccs.bcs.org, but I am loth to move the on-line execution facilities as the implementation technique does leave the server slightly at risk. The sw.ccs.bcs.org server is in a local school where physical access is inconvenient and requires advance notice. I can reboot the machine in my study whenever I want. Both machines are Raspberry Pis but of very different vintages. Brian Wichmann’s test suite continues to tease out issues. Now that we accept that we do not have the final definitive version, Brian’s test suite enables us to get some measure on the quality, which is not much worse than the 1970 version. There has been some progress on the presentation of the on-line version, and significant cleaning up of its internals. We now have on-line access to both assembly languages, each of which offers two assemblers, the original and also the 21st century yacc-based version. The text of the web pages needs serious revision, but the underlying execution of the preserved software works. The KDF9 character set is neither a subset nor a superset of ASCII. We still have compatibility issues over representation of KDF9 characters for different languages. All but the Whetstone implementation go through an Algol Basic Symbol stage. How best to represent × and * for input is not obvious. Output is mostly rendered in HTML where we can do all the KDF9 characters. Bill Findlay has set himself the task of writing up the KDF9. We met in Edinburgh recently and are collaborating very cordially. I reported in March that the comms link from the 2966 to the 7501 was generating garbled characters, but that the 7501 was working fine when attached to the Pi so the fault must either be in the cable or the 2966... Wrong! The synchronous clock is generated by the 7501 itself, and the negative swing on this clock had almost disappeared. Having traversed the long cable to the 2966 and back, the clock was too small for reliable data reception. The link to the Pi is much shorter and the Pi actively regenerates the clock, hence no problem. The fault was cured by replacing the clock driver IC on the P004 board in the 7501. Following reconditioning of the band rollers the printer had developed another issue, complaining of band speed and sync errors. Although we had tried adjusting the band sensor already, clearly we didn’t do it correctly as a further adjustment has resolved it. One of the 7181 terminals blew a fuse and the mains input was found to be short circuit. This was traced to one of the mains filter capacitors, all of which were replaced to ward off further trouble. This unit also has a long standing intermittent 5V supply issue, the problem being that whenever I try to investigate it the fault goes away and won’t return for some months! Finally a mechanical issue - the bearings in the OCP cabinet fan had begun to make worrying noises. Changing them was not straightforward since the motor in this cabinet is larger than in the others — removing it required eight rivets to be drilled out. The fan bearings in the other cabinets all needed replacement back in 2009, so this one has lasted very well. In Resurrection 82, I reported that the TNMoC 903 had behaved perfectly at the ceremony held in May in memory of Oliver Harlow. Sadly, it has been less reliable since and at one point it was refusing to read in any binary tapes. Peter Williamson and I spent some time swapping cards around, within the 903 and with the spare cards, after which it would read tapes again (we are not sure why), but it still was not working properly (we are still not sure why). The store is connected to the CPU by eleven 37 or 50 pin D-sub connectors, which have locking clips that are difficult to undo, and more importantly, are impossible to do up without removing the whole rack from the chassis. Suspecting damp in the store connectors, we removed the rack and blew the connectors out, to no avail. But we took the opportunity to remove the locking clips so that the connectors can be checked in situ in future. The next step is probably to put some of my own good cards back into the TNMoC 903, and to monitor its behaviour over a period of time with the help of TNMoC staff, to track down which cards are causing the elusive intermittent fault(s), which could possibly be due to dry joints. Remember that this 903 has probably had more hours of use at TNMoC than any of the other surviving 903s (including my two) have ever had. 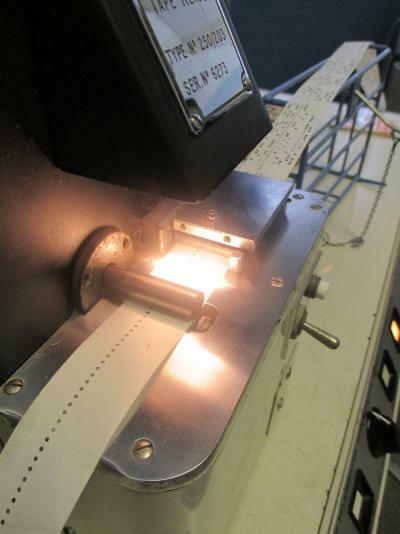 Another 250c/s Elliott paper tape reader was recently donated to TNMoC. This looked rather rustier externally than the ones we already have, but the internals proved to be in good condition, especially the insulation on the 240v motor wires. I’ve swapped the rustier body parts with cleaner parts from one of my readers which has failed motor insulation. Also, one of the two 5-lane amplifier cards was faulty, so I’ve fitted one taken from TNMoC’s stock of 110v Southwell Park readers. This reader now works and proudly bears the “Elliott” logo not the “ICL” logo. Sharp-eyed readers of Resurrection 82 will have noticed that there have been a few changes to the CCS committee. Pressure of work has led to Kevin Murrell having to take a lower profile. 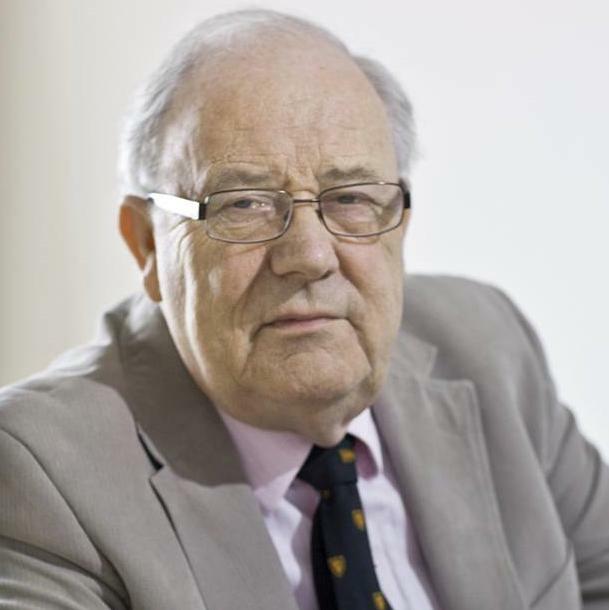 Roger Johnson has been restored to his former role as London meetings secretary and he, in turn has been replaced as Society secretary by chair emeritus Rachel Burnett. Now our previous but one chair, David Hartley has decided to relinquish his position as treasurer after more than a decade’s dedicated service to the Society. Arthur Dransfield has bravely volunteered to fill the slot. The Society is completely reliant on the various committee members giving their time and dedication. Our thanks are, in no small measure, due to these retiring members. Please also welcome their various successors. Birthday greetings to Frank and Ralph Land who passed their 90th in October. Identical twins (yes, I’ve made that mistake) who both worked on LEO in the very earliest days of our industry and who remain stalwarts of our good friends the LEO Society. Erik Baigar writes to tell us about an October conference in Denver Colorado to celebrate 50 years of the well-regarded Data General Nova machine. In the event that there is an account of proceedings we will post details on the CCS website. We note that, yet again, the Museum of Science and Industry in Manchester has undergone a change of identity and boasts a new logo. It is now called the Science and Industry Museum (SIM) and lives at www.scienceandindustrymuseum.org.uk on the web. No, nor do I. The (London) Science Museum has also adopted a new logo (see inside the front cover) somewhat more readable than before. July saw the passing of playwright Hugh Whitemore, author of Breaking the Code, based on Andrew Hodges’ masterful biography of Alan Turing. A couple of years ago a small party of CCS members attended an amateur dramatic performance of Breaking the Code in Hampton Hill. To our delight Whitemore was in the audience and received an ovation. It is my sad duty to report the passing of one of my personal “Heroes of Computer Science”, Professor Andrew Colin. Andrew’s long career stretched from working with Andrew Booth at Birkbeck College through London’s Institute of Computer Science and then onto the Universities of Lancaster and Strathclyde. No stranger to the pages of Resurrection, he will be greatly missed. It is a pleasure to report on another successful year for the Society. We are maintaining our membership at around 1500 including a welcome number of overseas members. We must thank the BCS for hosting our London meetings at the Southampton Street location and their help with the Resurrection journal. As a Specialist Group with a grant also we do not charge a subscription. We use our own donated funds to support projects in our field but rely on the generosity of members making donations to continue to make this possible. The Resurrection publication is issued four times a year with high quality articles and news of our projects. It is free to BCS members and available for a £10 subscription to our other members. Our extensive website has been updated and is an invaluable window into our activities. The presentation programme has been well supported both in London and Manchester. We have enjoyed a wide range of topics, including Software Preservation, Emulation, Computer Films, PDP8, Analysis of Y2K, The Numerical Algorithms Group, Constructing the EDSAC Replica and the Elliott 401. It was particularly pleasing that two of our speakers were from overseas. All our London presentations are videoed and usually available online. After a significant amount of work our AV team has been equipped with a new camera which will improve the quality of the downloads. Our international links were further enhanced by a visit to the University of Pisa. 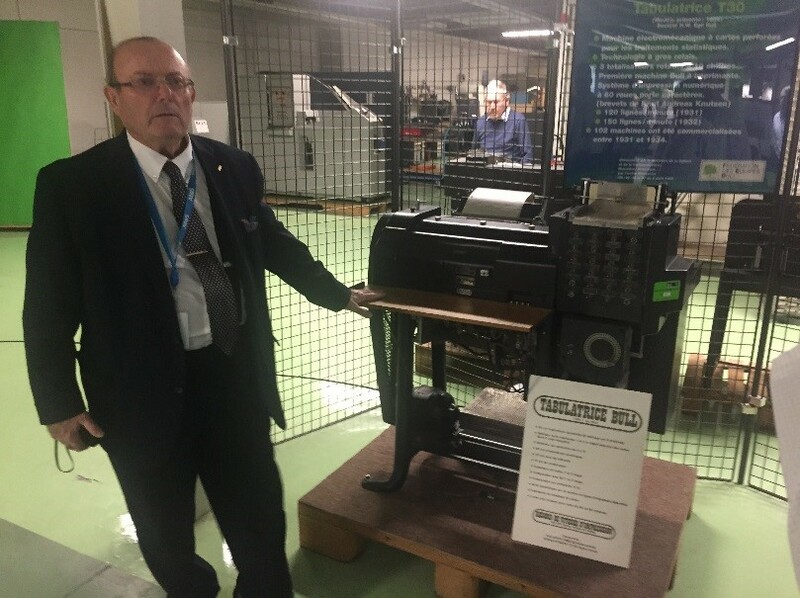 At their Museum of Computing we learned about the contribution of Olivetti to both the mainframe and desktop ends of the spectrum as well as viewing their collection. None of this would be achieved without the efforts of so many volunteers, working on projects, producing the journal, making presentations and assisting in the smooth running of the organisation. I am extremely grateful to them all. The year has seen changes to the committee both centrally and in Manchester. David Hartley has served the society in many offices, latterly as Treasurer. He retires with our grateful thanks for his huge contribution to the Society. His successor is Arthur Dransfield. Kevin Murrell has stepped down as Meetings Secretary and has been succeeded by Roger Johnson. Rachel Burnett has become Roger’s successor as Secretary. In Manchester Bob Greatrell (Chair) and Alan Pickwick (Secretary) have succeeded Tom Hinchcliffe and Gordon Adshead who have retired after many years dedicated service. We are indebted to them all for the service they gave and continue to give to the Society. Finally, a big thank you to the BCS staff who assist us and all our members for supporting our events. Attendees at this 50th anniversary event included some of the engineers who installed and commissioned CADCentre’s Ferranti Atlas 2 in 1967/68, including Ray Olds and Graham Penning. Cast your mind back to the mid-1960s — Harold Wilson was Prime Minister, Anthony Wedgwood Benn headed up The Ministry of Technology (MinTech) and Britain was in the throes of “the white heat of the technological revolution”. It was a time of technological optimism, and anything seemed possible. One of Benn’s closest advisors was Arthur Llewellyn, an unusual civil servan in that he was very tech-savvy. 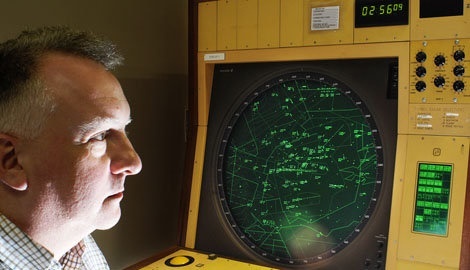 He had worked on radar during World War II (as had Maurice Wilkes, creator of EDSAC) and from 1960-65 had been the UK’s scientific advisor to NATO. In 1965 he returned to head the MinTech Computer Advisory Service. Arthur had become aware of the advances that were being made in Computer-Aided Design (CAD) and Computer-Aided Manufacturing (CAM), especially in the USA, and was determined that Britain should not be left behind, both in terms of creating CAD/CAM software, and getting British industry to use these new techniques. His way had been prepared by the report of the MinTech Working Party on CAD, chaired by Sir Ieuan Maddock. On a flight back from a trade visit to Moscow, Benn asked Arthur “What do we need to do to make this happen?” Like the canny mandarin he was, Arthur already had a plan — create a new MinTech centre of expertise, staff it via ICT/ICL with one of the tech sector’s first outsourcing contracts to ICT/ICL, and buy Ferranti’s last unsold Atlas 2 at a knockdown price. Benn readily agreed. There were strong arguments and lobbies for either the National Engineering Laboratory (NEL) at East Kilbride or somewhere in the heart of the industrial Midlands. But in the end, Cambridge was chosen. Cambridge University Computer Lab already had both a CAD development group and another Atlas (a stripped-down version called Titan, the model for Atlas 2), a site was available (a former WW2 Short Brothers aircraft fuselage repair factory at High Cross, just outside the city boundary) and there was a strong argument in favour of focusing on emerging high-tech industries rather than legacy ‘smokestack’ ones. Cambridge was an attractive place to live, and the university, especially the Engineering Department and Computer Lab, would also provide a pool of world-class talent. 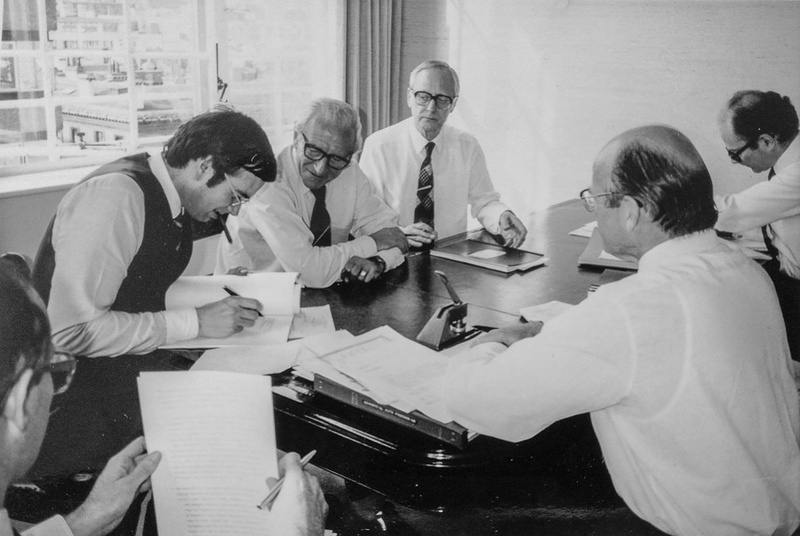 An initial ICT team was assembled in early 1967 to move the mothballed Atlas from West Gorton and commission it in Cambridge, staff recruitment began, and a contract was let to adapt the existing building. Despite setbacks such as discovering that part of the site was radioactively contaminated, the newly christened Computer-Aided Design Centre opened for business in 1968, staffed and run day-to-day by ICT (later ICL Dataskil). Arthur Llewellyn was appointed its first Director in September 1969. Enable new CAD developments to be carried out with minimum risk to the industrial sponsors and maximum assistance from the Centre. Encourage an interchange of ideas and expertise in the development of CAD systems by setting up collaborative groups. Provide an Atlas bureau service. A small team of consultants and sales people whose brief was to go out into industry, find problems to which CAD/CAM could be a solution, and to work with the software development group to deliver them, under chief consultant Brian Gott. A large software group to create software applications for those customers, and where possible, develop those applications into more general systems which could be used across whole industry sectors, such as electronics, process plant design, automating the programming of Numerically Controlled (NC) machine tools, etc. This group reported to John Chilvers. A bureau service, offering both computing power-by-the-hour to engineering companies, and production services such as plotting and NC tape preparation, run by Celia Bland. A team of mainly hardware engineers, dedicated to keeping Atlas in good health, and even patching system software when necessary, under George Smith. Arthur ran things with a very light touch; his philosophy (shared by John Chilvers) was to hire the very best people, give them the resources they needed and trust them to do the right thing. The Centre had an important missionary role — organising seminars and other educational events. 50 years ago, the great majority of engineers and engineering companies had no idea of what CAD was, never mind its potential benefits. In fact, on my second day of work at CADCentre in September 1972, a group of us were bundled into the Centre’s Ford Transit minibus, and later that morning found ourselves attending a CAD seminar, complete with an excellent lunch, at the Savoy Hotel. “This”, I thought, “is going to be a great job!” It was — but not in that way. In those days, software portability across machines and operating systems was largely unknown, so all of the software applications initially ran on Atlas. 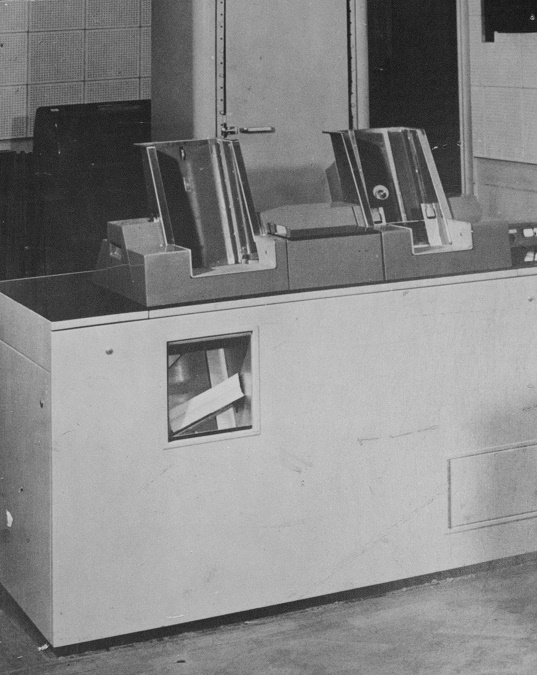 FORTRAN IV was the near-universal development language, especially once the GINO 2D and 3D graphics libraries had been ported to FORTRAN and become GINO-F.
CADCentre soon had customers spread across the country and while some of these were able to work by shipping batches of punched cards to Cambridge and receiving printouts two days later, the real push was to interactivity — the essence of the design process. In the early days, the usual way of accessing Atlas remotely was via an ASR33 teletype in the clients’ premises, connected by an acoustic coupler and a 300 baud modem! For more interactive applications, Tektronix 4010 storage tube terminals were used. At peak times, Atlas was supporting about 27 simultaneously connected terminals, with each user thinking he had Atlas at his sole disposal due to the ‘magic’ of virtual memory and the multi-user time-sharing Atlas Supervisor program. Speaking of the Supervisor brings us to the close links between CADC and the Cambridge University Computer Laboratory, founded (and then still run) by Maurice Wilkes. When EDSAC 2 was getting to the end of its life, a replacement was needed. The Lab wanted an Atlas, but this was far beyond its budget. It was agreed that in exchange for Ferranti supplying a stripped down Atlas, they would work with the lab to jointly produce a multi-user time-sharing system, the Supervisor. A key member of that team was David Hartley. The Lab’s special Atlas became known as Titan. as well as many client-specific or more niche applications, such as Whessoe’s pressure vessel design and the Clarks’ shoe design system (based on Polysurf). There was also a systems team under John Ambrose doing pioneering work on the STAR network (of which more later). A DEC PDP-9 with a large circular display screen and light pen. An Elliott 905 with a 928 display and light pen. A CTL Modular One (which served mainly as a multiplexor). Most programmers wrote their programs in the traditional way — with pencil and paper — and then entered and edited them via ASR33 teletypes (and the occasional ASR35). In the early days, many programs were run in batch mode, but a graphical interface was essential for many, e.g. for GNC, so that NC cutter paths could be visualised on screen. In the early days, that screen was almost universally a Tektronix 4010, later superseded by the 4014 which had a ‘massive’ 19” screen. CADCentre also developed one of the world’s first colour raster graphics terminals; it used a high-quality colour TV screen as output, and was universally known as Bugstore, after the large number of DIL memory chips (bugs) it used for its video memory. It was used for a lot of early 3D visualisation work, for applications such as road design, shoe design, and visualisation of 3D solid models generated by PDMS. It is typical of Arthur Llewellyn’s highly successful hands-off management style that (allegedly) the first he even knew of the Bugstore project was when the working hardware was demonstrated to him! The Bugstore design was later spun off into a commercial company called GEMS. Right from the beginning, networking was seen as key to spreading the availability of CAD throughout UK industry, wherever it was located. CADCentre had, from the early 1970s, a networking group; its STAR network linked Cambridge to SIA in London, NEL at East Kilbride, NPL in Teddington and CADCentre North in St. Helens. 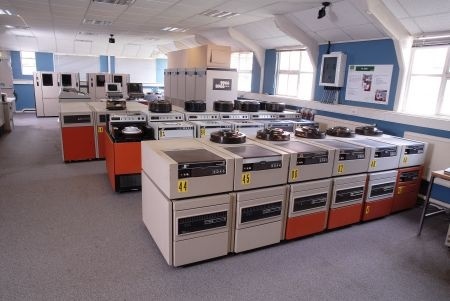 A PDP-11 in Cambridge connected Atlas, a CDC6600, a Univac 1108A and an ICL 1904A, emulating each machine’s JCL. There was even a connection to ARPAnet via Norway. Some of the concepts developed by the group fed into the early work of the ISO group that developed the standard seven-layer networking model. In 1974, Prime introduced the Prime 300 virtual memory mini-computer. This was the computer that CAD had been waiting for! Suddenly, even a medium sized engineering company could buy its own CAD computer plus (typically) 2-4 Tektronix graphics terminals, a printer and a plotter, and run its own in-house CAD/CAM facility. CADCentre purchased multiple Prime 300s (as did many universities) and development groups quickly started to port their applications to Prime and PrimOS. This trend accelerated when the much more powerful Prime 400 was introduced in 1976. CADCentre’s Atlas — the last in service — was switched off in December 1976. When DEC introduced the VAX 11/780 in 1977, CADCentre then started also porting most applications to VAX/VMS, and the market for in-house CAD accelerated rapidly. Despite a very active campaign by staff to prevent it being privatised, CADCentre was sold by the Thatcher government for £1 million in May 1983. It was the subject of a management buyout in 1994, floated in 1996 and changed its name to AVEVA in 2001. In late 2017, AVEVA merged with Schneider Electric, netting shareholders £650 million cash plus 40% of the combined group. At today’s £4.3 billion value for the merged company, that makes CADCentre shareholders’ worth ~£2.9 billion. Not quite ARM, but not a bad return on investment for a former government R&D facility. Creating modules for clash checking (making sure that two or more objects did not occupy the same 3D space), standard parts catalogue and specifications management, with automatic part selection, generation of 3D piping isometrics, steelwork design and detailing systems … and many more. A consortium was formed involving CADCentre, ICI Engineering in Manchester, Akzo Engineering in Holland and a small Nottingham piping consultancy called Isopipe. I recall attending the ACHEMA chemical engineering trade fair in Frankfurt in the summer of 1976, where, for a week, we demonstrated PDMS by day and cranked out more code between 6pm and midnight! Just how revolutionary PDMS was was brought home to me when, after we had demonstrated it to a senior Japanese shipbuilding executive for over an hour, he smiled, shook hands and said “Thank you for your time. That was very impressive but I do not believe a single thing you have shown me. I do not know what sort of tricks you used but it was very well done” … and walked away! Today, the greatest part of AVEVA’s revenues still come from software which has a direct evolutionary path from what we demonstrated in Frankfurt in 1976. I have already mentioned many of the talented people worked at CADCentre. But one person really stands out for me, one for whom all of the others had a huge respect — Tom Sancha. Tom was half-Argentinian, a keen alpine climber from the age of six, an explorer, and someone who had a major technical input to many of CADCentre’s key projects and products, in particular GINO-F, Bugstore and PDMS — and proud owner of a moustache worthy of a walrus. One of Tom’s great talents was to take a difficult concept, judge perfectly your level of comprehension and explain it to you in way that left you thinking “Why did that seem so complex? — it’s quite obvious, really”. Tom later co-founded Cambridge Interactive Systems (CIS) in 1977. One day at CIS, he seemed to have developed severe facial sunburn over lunchtime. When asked what had happened, he just grunted “Blowback!” It turned out he had been leading a protest march over the threatened closure of his kids’ school, and his impromptu fire-eating demonstration in the Market Square had literally backfired. Of course, Tom blowing a huge flame was the front page picture on that evening’s local paper! It was typical Tom. My abiding memory of Tom is of him dancing round a Halloween bonfire dressed in a tribal costume that he had brought back from one of his South American expeditions and waving a spear. Tom sadly died of a brain tumour in 1992, aged just 45. The so-called Cambridge Phenomenon has been well documented, and was first named and documented in a 1985 report of that name. In the central core of the circles of influence sat Cambridge Consultants and Cambridge Science Park. CADCentre sits in in the next circle, and many highly successful Cambridge software companies were founded by people who had worked there, or its spin-offs. Examples include CIS (sold to Computervision for ~$200 million) Smallworld (sold to GE for ~$200 million) and Geneva Technology (sold for $700 million). Simon Lavington’s excellent 2012 paper “Ferranti Atlas 2 Computers at AWRE Aldermaston and at the CADCentre” tinyurl.com/y76lo8kl covers much of what I have talked about in more technical detail. You can also see three ‘old lags’ reminiscing about CADCentre’s early days at tinyurl.com/y9mssgx4. For me, a fresh physics graduate from rural Ireland, and indeed for the most of its staff, CADCentre in the early days was a truly magical place; a place where some talented young people, most under 30, were given the freedom and encouragement to do remarkable things — inside a Government establishment! No other job in the last 40 years has even come close for me. I would like to thank Roger Annett for his assistance. Roger was formerly with ICL and was a CADCentre Ltd board member in the immediate post-privatisation period; he carried ou t detailed research on CADCentre and AVEVA over the last several years. Just a little background first about the early 1900 machines. The 1904 was derived directly from the Canadian Ferranti-Packard 6000 computer with a more or less identical CPU. The 1907 was an enhanced 1904 as it had a 48-bit floating point unit (FPU) processor attached. Not many were sold. The Gas Board at Solihull and Brunswick University (Germany) were notable successes. The next generation 1900 machines were the E/F range. A 1904E was a basic machine. Again not many were sold. The 1905F was a 1904E with a 48-bit FPU. More than 100 of these machines were sold. Then came the very few dual processor machines. I only know the 1907F machines of which there were but three. 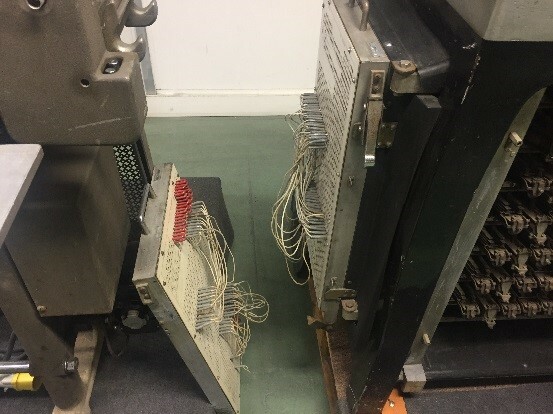 These machines were two 1905F machines connected to their memory via a Store Access Hardware Module know as a SMAC. The 1905Fs could be used independently by hardware switches configured at load time. The SMACs came with at least three 64Kword Memorex memory modules. More about the SMAC later. The first of these 1907F machines was installed at Royal Radar Establishment (RRE), Malvern. Its main purpose in life was in the development of the ALGOL(68R) compiler, an RRE product. The 1907F was commissioned in August 1968 and passed its acceptance trial the next month, with one notable omission. The Burroughs big fixed disc was a huge device, delivered on a low loader truck which suffered a road accident. Another disc unit had to be acquired from the USA. The SMAC was a grossly over-engineered system as it was designed and built to access 8 store modules and 8 processors! It had all the wiring and connectors to allow this enormous potential if only anyone had a large enough room to contain such a huge number of 1905F processors, not to mention a very large wallet. The hardware was able to accept or queue on a FIFO basis and store requests from the connected machines. The system executive program occupied most of the lowest 32K words of the main store so executive processing time was critical. The executive enhancements to support the dual processors were remarkably modest. The George III operating system tried to manage the rest of the main store by placing the buffers for peripheral accesses at the top of main store which this eased the load on the lowest block of store considerably. I designed and implemented a shortcut for executive exit, as the implemented system always searched all the running processes known to it before exiting. My shortcut avoided this when the cause for executive entry was NOT caused by a peripheral termination interrupt which altered the running state of an object program. The process that had been interrupted could be re-entered without scanning lots of process details to see if a higher priority process could be run. This shortcut did not get entered if the interrupt was from the system clock! A better explanation of this shortcut — if the current running program issued an executive extra code call, (i.e. a peripheral transfer request), then the shortcut was invoked on executive exit and an immediate return to that program was possible without having to scan through all the known potentially runnable programs. The dual processor system was a great success and throughput was better than twice that you could get from a single processor. There were various theories as to why this was the case, but none really explained the phenomenon. The replacement Burroughs fixed disc was a disaster. On delivery to the computer room it almost went through the false floor which then had to be reinforced. A second accident narrowly avoided. Warm up from cold and getting up to speed took over an hour. The poor engineers had to start work 90 minutes earlier! The sniffer unit was prone to give false reports. When they were not false reports the replacement of a damaged disc took days! Cleaning the 26 disks and checking for damage took hours and considerable strength! RRE changed to two of the large exchangeable disc systems with nine spindles which was faster and much more flexible than the Burroughs fixed disc which had failed its acceptance test. The damaged Burroughs disc platters were over four feet in diameter. There were 26 of them in a fully configured unit which weighed in at well over a ton. No wonder it almost went through the false floor! The 1907F was a remarkably stable machine and ran for over a decade before it was replaced by a second-hand 1906S! Through the Computer Conservation Society we enjoy the vast history and heritage of computing technology, predominantly originating in the UK, though with interest and visits to other countries too. Having been in the industry myself working with mainframes, mini systems and all sorts of technologies over the years I recently discovered a hidden gem in Angers, France that I wanted to share with you. Some may be familiar with CAP Group (Computer Analysts and Programmers), a software house established in the UK in 1962. CAP Group merged with a French IT company to form Sema Group and over many years of market consolidation ultimately joined what is now called Atos. In 2014 Atos acquired another French IT industry veteran, Bull, itself with a rich history including names such as Honeywell, Packard Bell and Zenith Data Systems. In January 2018 I had the opportunity to visit the former Bull manufacturing plant in Angers where our current x86 server and High Performance Computing technology is assembled and tested. It was very exciting to see the latest multi-million Euro water cooled machines on test, and our “Quantum Learning Machine”, which is a 40 Qubit Quantum Computing simulator. But tucked away in the basement, there is was, a museum of Bull technology through the ages — and much of it still working. The earliest machine, and one of only three working examples in the world was a tabulator from 1931; the year Bull was founded. The museum takes us through a history of innovations, including relays, “programmable” replaceable cards that sped up the configuration of machines for different purposes, tabulators, card sorters and printers — including one printer that was purportedly the fastest available at the time due to the nature of its rotating print heads. 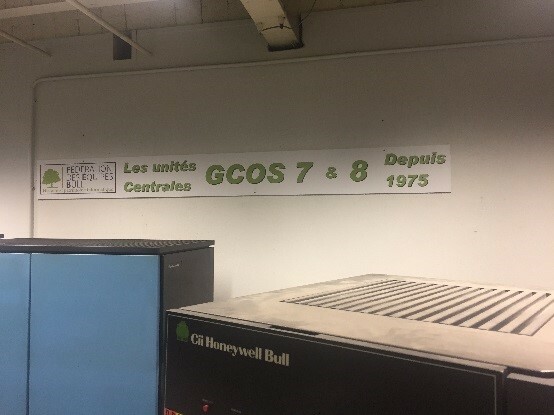 There are still 40-year old mainframes running GCOS supporting France’s critical national infrastructure — the warehouse has spare parts for these! There are a vast array other systems including some of those Honeywell, Zenith Data Systems and Packard Bell machines mentioned earlier, a variety of early laptops and PCs. In the corner I spotted a non-Bull machine, a clear example of how like-minded people across the world are brought together by a common interest. The museum will be relocated from the basement over the next couple of months and spruced up into a visitor centre for Atos customers. Angers is also a picturesque town on the edge of the Loire valley — a very nice part of the world. If there is interest from society members in visiting the museum in a future year as an organised trip I could enquire whether that could be made possible. I am not an IT person. I have not worked in computing but with computers and their applications. Over a period of nearly 60 years I have used computers from Australia’s second digital computer to the latest microcontrollers; from large scale number crunching to real-time multi-tasking; for modelling large chemical plants, and for controlling them on-line in real time. Here is a little of my story. As I compose this on my Microsoft Surface Pro 4 laptop/tablet, I recall my first contact with computers: the SILLIAC digital computer in the University of Sydney in 1959. As a final year student in Chemical Engineering I wrote the first undergraduate Engineering thesis in Australia to use a digital computer, involving 2000-odd lines of assembler language code to simulate the dynamics of non-linear process control loops. Simulink on my Surface Pro (0.79kg, 4GB memory, 2.4GHz processor) solves these problems in seconds. The $3M — in today’s dollars — 5-ton, 2,800 vacuum tube, Sydney version of the University of Illinois Automatic Computer, using 35kW of power, with a total of 5KB of memory (1024 x 40-bit words) and 5-channel paper tape I/O took up to ten minutes, provided there were no failures (on average two tubes failed each day). SILLIAC was in the School of Physics. As a mere Engineering undergraduate I was allowed to use the machine only after hours in the evenings. However, it was a thrill to have the massive unit to myself. There were only three switches to operate it, with a paper tape bootstrap in the reader, followed by one’s program tape. You diagnosed errors by reading the 40-bit register at the bottom of the 2m high front panel, as well as the cathode ray tube Williams memory display. Perhaps the excitement from all this was enough to ensure that my professional life would eventually be dominated by working with computers in process engineering. That year I also learned to use an analogue computer for linear dynamic simulations: a 10-amplifier, 100V vacuum tube Donner model 3400. Four years later, as a junior lecturer at Sydney I taught process control using a state-of-the-art EAI TR20 transistorised analogue computer. In 1962 Sydney Chemical Engineering became the first Engineering department in Australia to have its own digital computer: an IBM 1620 with paper tape I/O. I taught FORTRAN, and later introduced the dynamic simulation package CSMP, so use of the analogue died. In the late ’60s at ICI’s Central Instrument Research Laboratory, Bozedown House, near Pangbourne, Berks., I worked with a very large SIMLAC analogue computer produced by Short Brothers and Harland, then a Ferranti Argus 400, a multi-user machine for real-time control. I used RTL, an early version of the real-time programming language RTL/2, based on Algol 68, and developed at Bozedown by John Barnes, together with DDC algorithms developed at ICI, programming the automated operation and control of a laboratory scale catalytic reactor for kinetics measurements. I used a large Algol program to model full scale reactors producing intermediates in the nylon manufacturing processes at ICI’s sites in Billingham and Wilton. 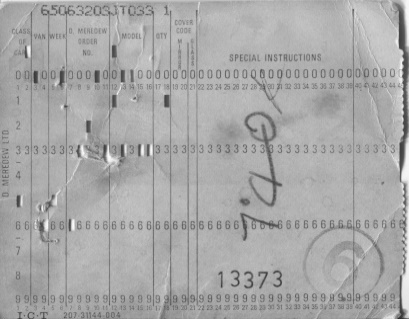 These simulations were run in batch mode on a KDF9 computer with punched card input. I went back to Sydney Chemical Engineering in 1971 as a Senior Lecturer installing a DEC PDP 11-34, state-of-the-art then, with solid state integrated circuits, running under Unix, and introducing time-sharing, establishing the first student computing lab at the university to boast 12 terminals, two of which had graphics capability, a revolutionary development. In the late ’70s I used a Motorola M6800 8-bit microprocessor, coupled to some simple laboratory experiments to teach real-time programming with the concepts of interrupts and multi-tasking in a postgraduate Masters course in process control. 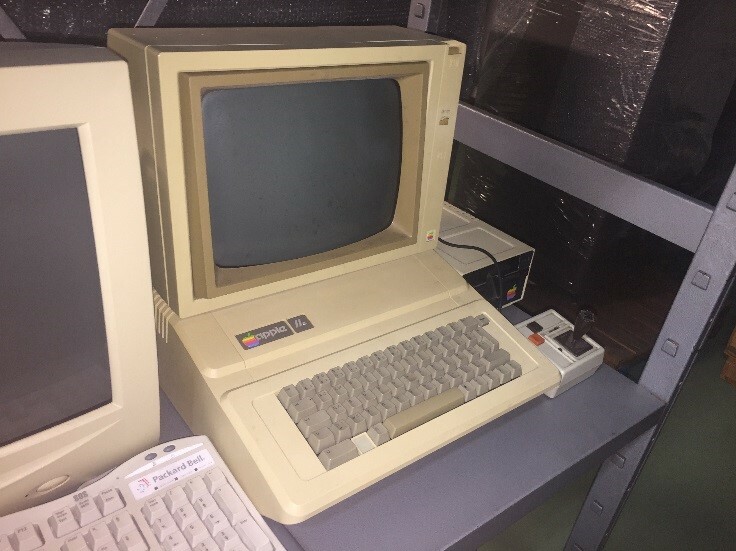 From 1983 at ICI Australia’s large manufacturing site at Botany, Sydney, I implemented a Honeywell TDC2000 distributed control system (DCS) on the ethylene plant, coupled with a dynamic plant simulation on an Apple IIe interfaced to the TDC to assist operator training. In 1988 in ICI Australia Engineering in Melbourne I started up a new Process Control Group. A major project was the installation of an ABB MOD300 DCS on a PVC plant — a $2M investment with a very short payback. Later, as International Technology Leader, Advanced Process Control for the ICI Group, spreading the word on the benefits of process control and the value of advanced computer control through training courses in countries where ICI or its subsidiaries operated. From 1995 to 2002 as Dean of Engineering at Monash University in Melbourne, I taught undergraduate and postgraduate process control courses, and installed a MOD 300 from ABB for the Chemical Engineering Laboratory. Following retirement, I helped some major Australian mining and minerals processing companies to justify installing or upgrading of DCS facilities, and I worked with Engineers Australia on course accreditation. So now to 2012. During an accreditation visit to a university in Sydney I was shown a TR20 analogue about to be discarded after years in a corner collecting dust. Nostalgia hit hard, and I “rescued” it. For the last four years I have worked (played?) with that machine at home, interfacing it to a PC via Arduino microcomputers so the hybrid system could solve the dynamics of non-linear process control loops from my undergraduate thesis — in seconds! From SILLIAC to Arduino, from assembler language to C++ and Java, it’s been an exciting and absorbing journey. Last week I attended a talk on quantum computing. I envy what the next generation will experience. Emeritus Professor Michael Brisk is a retired chemical engineer. He spent about half his professional life in process control with ICI in the UK and Australia, becoming International Technology Leader Advanced Process Control, and half as an academic at the University of Sydney, and later at Monash University, Melbourne where he was Dean of Engineering. He can be contacted at . This photograph turned up on the underside of a plywood shelf which my late father had at some point added to his 1960s-vintage wardrobe. Quite how he came by what appears to have been an exhibition display board is a mystery since he had nothing whatever to do with computers during the whole of his 80 years. Half a Hollerith punched card (right) was stapled to the back of the wardrobe which puts it near the back end of the punched card era. Yes, it’s an ICT card reader. But where is it and to what is it connected? The cabinet behind looks Ferranti(ish) to my untutored eye but somebody must know. Any ideas? You are strongly advised to use the BCS event booking service to reserve a place at CCS London seminars. Web links can be found at www.computerconservationsociety.org/lecture.htm. The National Museum of Computing Colossus Galleries open daily 10.30-17.00; full Museum open Thursday, Saturday and Sunday 12.00-17.00; Provisional opening for the Turing-Welchman Bombe is likely to be as per the main museum.